Download WunderMail for free end enjoy it’s unique design. 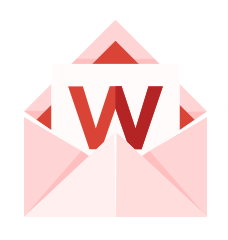 WunderMail can be downloaded for free. We did this as we wanted to make WunderMail available to anyone. However, the free version is supported by ads. This is necessary to further invest time in this project. If you want to support the further development of this app you can upgrade to an ad free experience with WunderMail Premium. WunderMail for Gmail is a third-party app developed by the WunderApps GmbH. The developer is in no way affiliated with, authorized, maintained, sponsored or endorsed by the Google Inc. Gmail and all other copyrights are property of Google Inc.